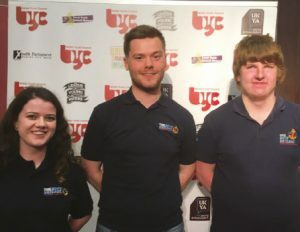 Three BB young leaders represented The Boys’ Brigade at the British Youth Council’s annual council meeting in London at the beginning of September. The BB delegation comprised of: Cabrini Brown, 1st Ballygowan; James Hollyhead, 2nd Wednesbury; and Callum Laing, 3rd Perth. 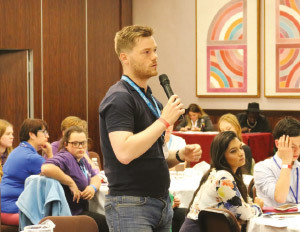 The young people expressed how important it is that the voice of BB young people is heard at such a level and that BB needs to do more to engage with the British Youth Council.